Buy With Confidence – Inspect With Vanguard! Peace of mind when buying or selling your home! If you’re looking for an experienced and friendly inspector in central Connecticut, you’ve come to the right place! Vanguard Home Inspections provides premier home inspections throughout the area, and we’d love the opportunity to work with you on your next inspection. 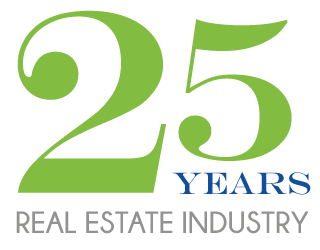 Our owner, Al Napier, began his career as a real estate agent over 20 years ago and became an InterNACHI certified home inspector in 2010. Al has a great understanding of properties and the concerns of homebuyers, making Vanguard uniquely qualified to help you through the home buying process. Vanguard Home Inspections will give you the useful information you need so you can make a confident decision on your new home. With earned certifications in over 18 different structural, mechanical and electrical systems operations, you can trust we have you covered. When you hire Vanguard to inspect your home, you’ll have a smart, honest, and trustworthy inspector in your corner. You’ll receive excellent service dedicated to putting you first. Whether you’re buying or selling your first home or 50th, we’re here to put forth our best effort and exceed your expectations. You deserve to know everything about your property before you decide to buy. Our goal is to teach you about your home and give you peace of mind as you move forward to closing. We’d like to earn the right to be your home inspection company. With over 25 years experience in the real estate industry, we understand buyers, sellers, agents and the time-sensitive issues that can affect your home purchase.